Do you want to customize the look of the widget? No problem. Just login to your account, click on the "Shopping Cart Widgets" icon, and you can change the background image, border colors, font colors, and more for each available widget! CODE to add a shopping cart/page directly to this website without the slideshow. Add double or triple mats for depth & interest, & sell more at art shows by giving your art patrons the Matted & Bagged option. When you partner with us you can fulfill your art orders and requests quickly and we can ship your art with your unique branding directly to your customers. The following selection of limited-edition prints are currently available. Sets of note cards and personalized greeting/note cards are also being offered of select artwork by mi for a limited time as well. 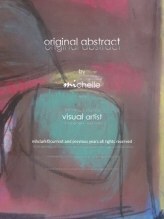 Thank you for selecting original artworks by mi. The following selection of limited-edition prints are currently available. Please see descriptions provided below for availability of originals of any of the limited -edition prints. 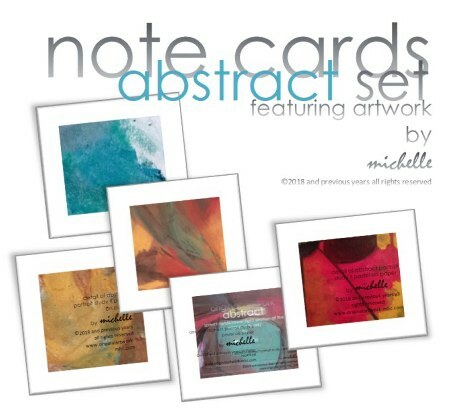 Sets of note cards are being offered of select artwork by mi for a limited time as well. what to expect when you purchase a limited edition print. You will be buying one (or more) of only fifty prints available. In addition, your order will include a letter of authenticity, signed, and dated by the artist. This ensures the print you receive is authentic. Prints will be of the artwork only; no writing (which serve as a 'watermark' to protect the artists' work) will be displayed. Once you have selected the item(s) desired, proceed with your order by selecting the "add to cart" button and you will be directed to checkout. will be provided with an option to continue shopping or checkout. 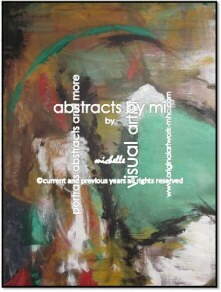 description: This print, abstract II, represents part of a large abstract piece, acrylic on canvas, entitled "pieces of a dream" by mi. I captured this image from a series of photos of the original painting (acrylic). One of the original photographs was cropped to enhance a specific perspective. The full original artwork is no longer available. description: This print represents part of an original abstract piece using soft pastel colors on color paper. I captured and selected this image from a series of pictures taken of the original artwork; cropped to the artwork; the original artwork is available, contact mi if you are interested in purchasing. 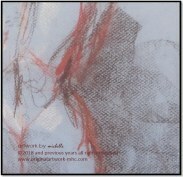 description: the original artwork for this print was from a series of live drawings using charcoal on paper. the original has been digitally modified as displayed for this print. I've added the original to my 'vintage' collection and is not currently available. description: photo art - this image was captured from a series of photographs taken with the intention of creating a still life pastel. One of the original photographs was modified to capture a specific perspective of the still life photo. the final size for this image will vary slightly from the standard size; available in current format. 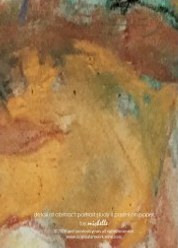 description: although 'untitled' is indicated for this figurative print, I refer to the original artwork as the "the embracing couple"; the original, pastel on paper, was inspired by a poem written by a friend. The final size for this image will vary slightly from the standard size. The original artwork is no longer available. Note cards are being offered for a limited time. The cards feature images of artwork by mi on the front, blank inside and have a short descriptive summary on the back. They are available in sets of 5, with envelopes for $10 per pack. Free shipping for orders of 6 or more packs. 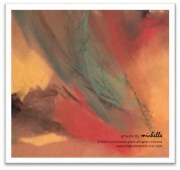 Thank you for selecting original artworks by mi. The following selection of limited-edition prints are currently available. Please see descriptions provided below for availability of originals of any of the limited -edition prints. 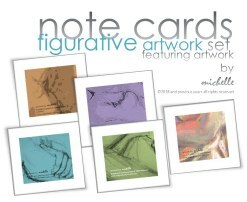 Note cards are being offered of select artwork by mi for a limited time as well. 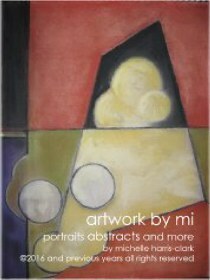 print dimensions: 16" x 20"
This print, abstract II, represents part of a large abstract piece, acrylic on canvas, entitled "pieces of a dream" by mi. I captured this image from a series of photos of the original painting (acrylic). One of the original photographs was cropped to enhance a specific perspective. The full original artwork is no longer available. 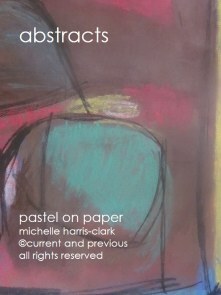 This print represents part of an original abstract piece using soft pastel colors on color paper. I captured and selected this image from a series of pictures taken of the original artwork; cropped to the artwork; the original artwork is available, contact mi if you are interested in purchasing. 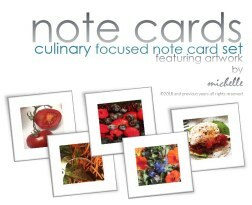 note cards are being offered for a limited time. 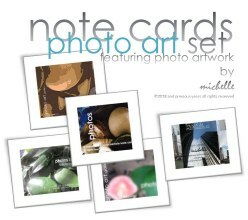 The cards feature images of artwork by mi on the front, blank inside and have a short descriptive summary on the back. 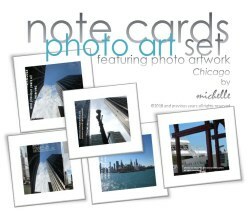 personalized greeting cards (e.g., invitations, thank you, business/personal interest and more) are also available through Mi,My. 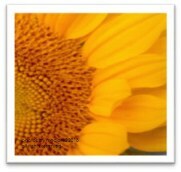 personalized greeting cards are personalized as your message needs to express with artwork of your choice by original artwork by mi. 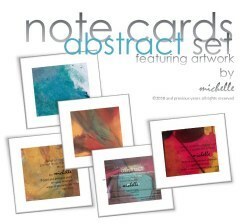 abstract note card sets are currently available in sets of 5, with envelopes for $10 per pack; each set consist of 5 abstract images by mi; size: 5 1/2" x 5 1/2" (metric/using Canadians: 14 cm x 14 cm) with envelopes. Free shipping for orders of 6 or more packs. 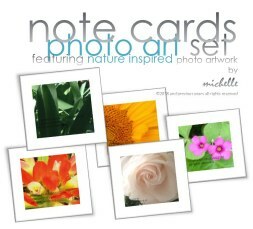 photo art note card sets are currently available in sets of 5, with envelopes for $10 per pack; each set consist of 5 photo images by mi; size: 5 1/2" x 5 1/2" (metric/using Canadians: 14 cm x 14 cm) with envelopes. Free shipping for orders of 6 or more packs. 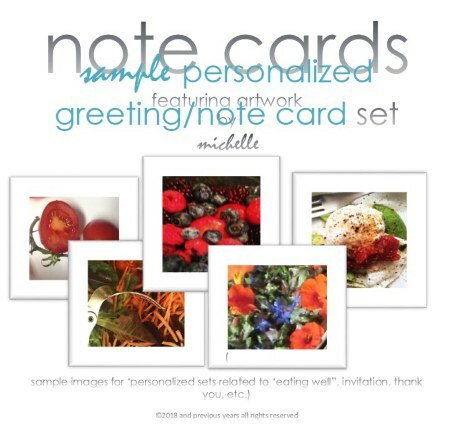 sample personalized greeting card set displayed provides and example of for an eatery, healthy eating or invitation. 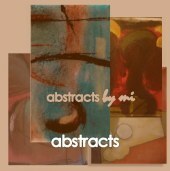 select artwork of your choice from original artwork by mi...be creative. 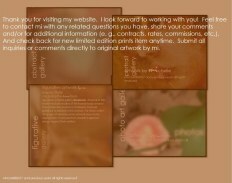 To proceed with your special order, simply select image(s) of artwork desired from the gallery links provided. 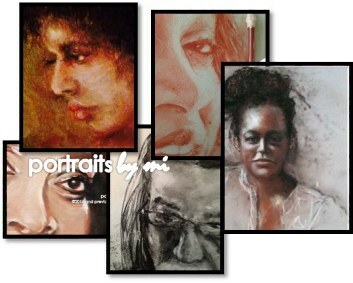 After you have selected the images for your prints, send specifics and finish preferences of the print(s)/personalized greeting cards desired directly to original artwork by mi. A 'special print order' link will be added to the website. Upon receipt and confirmation of your order is received, you will be notified once the link is added to the website; click on the link to purchase your order. 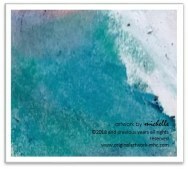 Thank you for selecting original artwork by mi to provide your personalized note card. If you see other artwork, not currently available to order, follow this link to limited-edition prints available special order for specifics on requesting that special order print. Limited edition prints are available for select items purchase; click shop to see prints currently available. 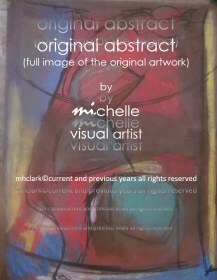 My name is Michelle (aka/dba original artwork by mi, artwork by mi, mi)and I am a self-representing freelance visual artist. I believe an artist exist in everyone. Art is an expression of life...be it through ... words on paper, images on canvas, or an image captured through the lens of a camera. My artistic abilities and interest in the arts surfaced at a very young age. 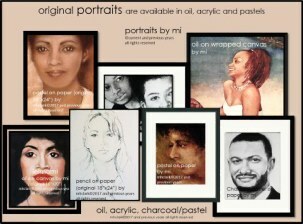 Recognizing intrigue and talent, my mother arranged for personalized art instruction by an aspiring artist while residing in Detroit Michigan. Through this instruction, my artistic abilities and interest grew. So encouraged and inspired by the instruction provided, I volunteered, at a young age, to provide art instruction to young children in a metropolitan daycare facility in Detroit Michigan. My desire to share my talent has never ceased. I continue to share my talent with children of all ages as often as possible as well as encourage other aspiring artist to pursue their artistic talent. A graduate of Roosevelt University, Chicago Illinois, my studies in the arts also include Rockford College, Rockford Illinois and Northern Illinois University, Barrington Illinois. 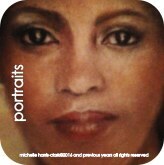 I also studied master portrait artists through courses offered at Spirit Square in Charlotte North Carolina. 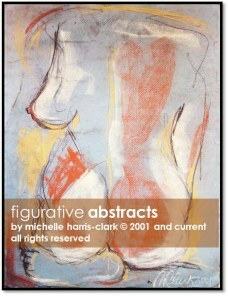 My artworks are in private collections throughout the Midwest. Earlier works have been displayed in several exhibits in the Midwest. 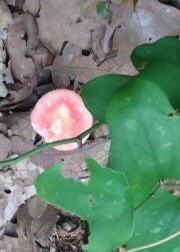 My inspiration comes from a range of things ... poetry, dreams, music, photos, thoughts, sounds and more. The most inspirational and encouraging piece I've ever received a response on was the ballerina ... and the reaction provides me with inspiration to continue. We may never know the positive impact our actions can have on another person. 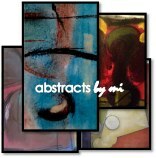 thank you for selecting original artworks by mi. The following selection of limited-edition prints are currently available. 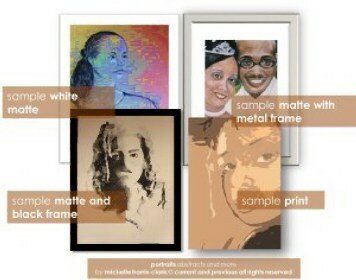 prints are available in three formats, print only, print in mat or print in a black frame (see samples in the image provided). The standard print size is 16"x20"; however, the final size is subject to the image(s) selected and may vary slightly from the standard size. To view a larger version of items currently available click the image. Once you have selected the item(s) desired, proceed with your order by selecting the "add to cart" button and you will be directed to checkout. You will be provided with an option to continue shopping or checkout. 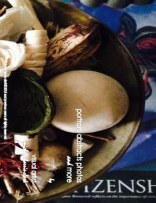 description photo art - this image was captured from a series of pics taken with the intention of creating a still life pastel. One of the original photographs was modified to capture a specific perspective of the still life photo. The final size for this image will vary slightly from the standard size. 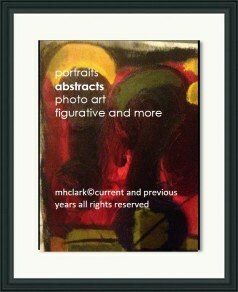 description abstract II represents part of a large acrylic on canvas piece entitled "pieces of a dream" by mhclark. I captured this image from a series of photos of the original painting (acrylic). One of the original photographs was cropped to enhance a specific perspective; dimensions print: 16" x 20", matte opening: 15 3/4" x 10 3/4"
frame: 19 3/4" x 27 1/2". 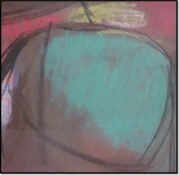 This print represents part of a original soft pastel abstract. I captured and selected this image from a series of pictures taken of the original artwork; dimensions: print: 16" x 20", matte opening: 15 3/4" x 10 3/4", frame: 19 3/4" x 27 1/2". the original artwork for this print was from a series of live drawings using charcoal on paper. I've added the original to my 'vintage' collection; the original has been digitally modified and is available from my figurative artwork collection; dimensions: print: 16" x 20", matte opening: 15 3/4" x 10 3/4", frame: 19 3/4" x 27 1/2"
If you see other artwork, not currently available to order, simply go to commission mi and scroll to limited-edition prints (special order) for specifics on requesting that special print. 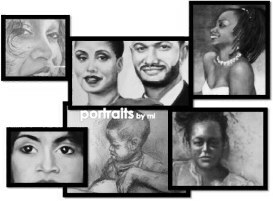 Thank you for selecting original artwork by mi to provide your preferred art print(s) through this special order process. 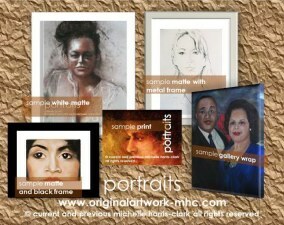 This section allows you to place a special order of prints not currently available for purchase. The overall process will allow you to submit your special order with ease. As with prints currently available, the standard print size is 16"x20"; however, the final size is subject to the image(s) selected and may vary. Your prints will be of the artwork only; no writing, which serves as a 'watermark' to protect the artists' work, will be displayed. 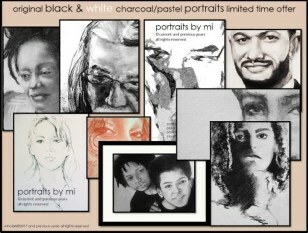 Please be advised that once you have selected the artwork for your special order, the items may be made available for others to purchase through original artwork by mi. So, in addition to receiving your special ordered print(s), you will receive the first limited edition print from the new run of no more than 50. 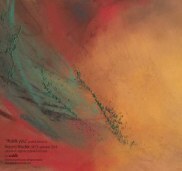 You will also receive a letter of authenticity (LOA) which ensures the prints you receive are authentic. 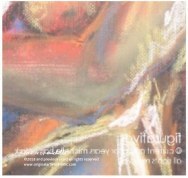 To proceed with your special order, simply select image(s) of artwork desired from the gallery links provided. After you have selected the images for your prints, contact mi to send specifics and finish preferences of the print(s) desired. A 'special print order' link will be added to the website. Upon receipt and confirmation of your order is received, you will be notified once the link is added to the website; click on the link to purchase your order. 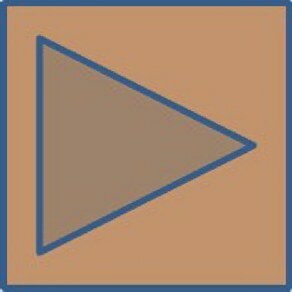 Please review and adhere to copyright information. This original artwork is currently for sale. Please contact mi about purchasing the original. Click contact mi for specifics on purchasing this original. All artwork is available in limited edition print runs of 50. When you purchase a print, you will be buying one of only fifty prints available. In addition, your order will include a letter of authenticity, signed, and dated by the artist. This ensures the print you receive is truly authentic. Prints are only available while stock lasts. The method used to develop the limited edition prints is "giclée". In some cases the original piece, all sources are from original artwork by mi, have been digitally modified and/or cropped to create a unique limited-edition piece of artwork. 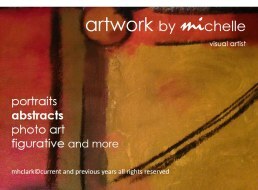 If you do not see a print that interest you at this time, please stop by again or feel free to consider commissioning original artwork by mi to create a unique work of art for you or your project. Simply go to commission mi. 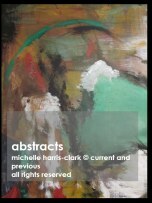 abstracts abstracts are a creation of either your own ideas and/or subject matter or the artist. 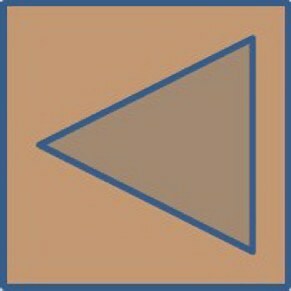 Creations can consist of any shapes, colors, figures or designs desired. 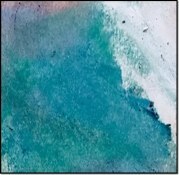 Media options include oil, acrylic, pastels and other materials. limited-edition prints are available for purchase in this section; click shop to see prints currently available. If you see a print, not currently available for purchase, feel free to contact mi. photography provides a source of inspiration. "Photography" yes. Photographer no ... I am not a "professional" photographer. I use my photography to capture images that inspire me to create new original pieces using pastels, oils, acrylics or even digital modification. In the process, I've managed to capture a few favorites. limited-edition prints are available for purchase in this section; click shop to see prints currently available. If you see a print, not currently available for purchase, feel free to contact mi. 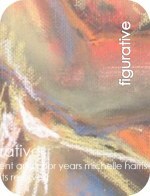 figurative artworks** and more; specifically still life and landscape drawings or paintings can be created using actual items, photographed objects or a mix of the two (no samples available for viewing at this time). limited-edition prints are available for purchase in this section; click shop to see prints currently available. If you see a print, not currently available for purchase, feel free to contact mi. 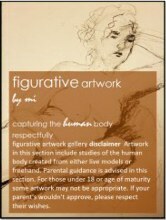 **figurative artwork gallery disclaimer Artwork in this section include studies of the human body created from either live models or freehand. Parental guidance is advised in this section. For those under 18 some artwork may not be appropriate. If your parent's wouldn't approve, please respect their wishes. OR ... "Return shipping is on us when you check out with PayPal"
The two abstract pieces featured below, abstracts I and II, both represent part of original works. 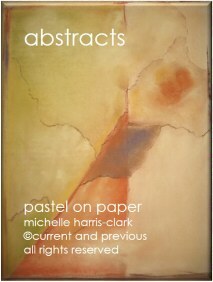 abstract I represents part of a pastel piece on paper; and, abstract II represents part of a large, oil on canvas piece, "pieces of a dream", currently on display at a cool spot in dallas texas. 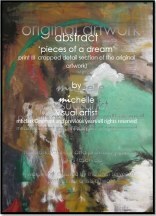 Other than being part of the original full versions, "pieces of a dream" and "abstract study", they are untitled. 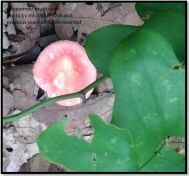 photo art - this image was captured from a series of pics taken with the intention of creating a still life pastel. One of the original photographs was modified to capture a specific perspective of the still life photo. The final size for this image will vary slightly from the standard size. the original artwork for this print was from a series of live drawings using charcoal on paper. I've added the original to my 'vintage' collection; the original has been digitally modified and is available from my figurative artwork collection. 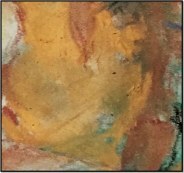 although 'untitled' is indicated for this figurative print, I refer to the original artwork as the "the embracing couple"; the orignial, pastel on paper, was inspired by a poem written by a friend. The final size for this image will vary slightly from the standard size. 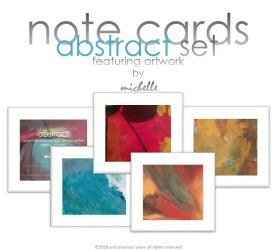 abstract note card sets are currently available in sets of 5, with envelopes for $10 per pack; each set consist of 5 abstract images by mi; size: 5 1/2" x 5 1/2" (metric/using Canadians: 14 cm x 14 cm) with envelopes. Free shipping for ordering 3 or more sets. Make it easy to buy one or more of a single item with the classic version of our Buy Now button. Sell multiple items with one payment. Accept donations and contributions on your site. Set up recurring charges of the same amount monthly for goods and services. Give customers the option to pay in installments for up to one year. Bill customers for goods and services that change in price monthly. If I use various print services/options available through www.iPrintfromHome.com, I would need to add to my cost. 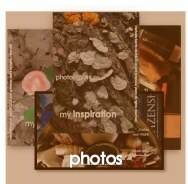 At iPrintfromHome.com, we use a traditional photographic process to produce our Photographic Prints. Accordingly, we use real photographic paper, which is exposed with light and then run through a chemical process. We feel that Kodak Endura Professional Paper is the best photographic paper currently available and we are proud to offer it at iPrintfromHome.com. We currently offer Photographic Prints (C-Prints) on four different print surfaces: Lustre, Glossy, Matte and Metallic. 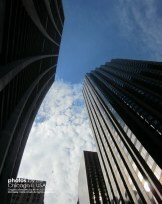 Photographic Prints (C-Prints) are available up to 24x96 inches in size. 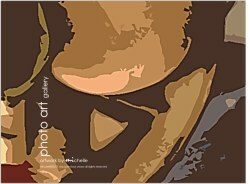 iPrintfromHome.com offers Giclee Fine Art Prints up to 40x160 inches in size. We use Somerset Velvet paper, Intelicoat Magiclee Torino canvas, and Epson Ultrachrome HDR inks to produce our Giclee Fine Art Prints on our Epson Stylus Pro 9900 printers. We use Epson Glossy, Matte and Lustre papers and Epson Ultrachrome Ultrachrome HDR inks to print our Photo Inkjet Prints on our Epson Stylus Pro 9900 printers. 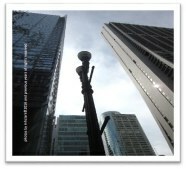 Photo Inkjet Prints are available up to 40x160 inches in size. Looking for a specific size that you don’t see listed here? Although we don't explicitly offer custom sized prints, with a little file prep work, you can get any size you need. Please click here for more information. <td bordercolor="#FFFF00" style="border: 1px solid #FF0000"><input name="pass"
<tr><td bordercolor="#FFFF00" style="border: 1px solid #FF0000" height="51"><center><input type="button" value="Login"
When you want your visitors to pick something from a list, you could use a drop-down list. These are sometimes know as option selects, select fields or combo-boxes. By default only one option can be selected, however you can allow multiple selections by including the word multiple to your select tag (this will also alter the appearance of the field). Finally, every form should allow the user the option of submitting the form. Form submissions are usually handled by using an HTML button. Again the button field is an input type field (as text and password fields are), however these special fields are of type submit. To specify the text which appears on the button, we use the value parameter to state our value (in the example below we state 'Submit Form'). Occasionally you may want to allow your visitors to reset a form back to its default state. This is accomplished by using the input type of reset. As with the Submit button, you specify the button text using the value parameter. 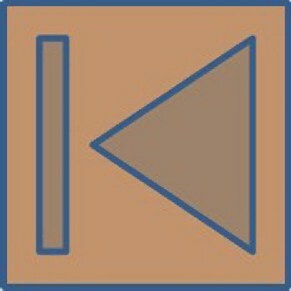 Reset buttons are not very common these days but can still be useful under certain circumstances. We also offer a form builder application where you can build your own forms. Or check out our pre-built booking form and order form scripts. 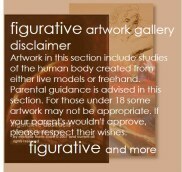 NOTE: Your print will be of the artwork only; no witting will be displayed. NOTE: Your print will be of the artwork only; no writing will be displayed. Picture files are often very large, and can thus dramatically increase the amount of time it takes to publish your Web site file and to display a page on your Web site. To minimize this problem, you can choose to have CuteSITE Builder save large pictures at their reduced or cropped size. 1. Choose Tools > Options. 2. Click the Image Save tab. 3. Under When saving document, select whether to save the resized or cropped pictures rather than the originals. 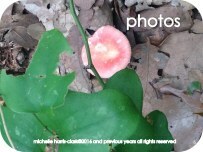 · Select Save only edited images if you want to save the resized or cropped pictures rather than the originals. · Specify the minimal original size for which you want CuteSITE Builder to save only the edited picture. Any picture with an original size equal to or greater than the size you specify will be saved at its edited sizes. Specify the width and height in pixels. n These settings apply to all files you work on, and are saved when you exit from the current CuteSITE Builder session. n You may not want to select these options if you are in the process of editing your file and know that you may be resizing the picture again. n If you reduce the size of a large picture and then decide to make it larger again, start over by reinserting the picture and resizing it again. Contents of this web site and all original works are copyright ©2005 your name here - All rights reserved.The material on this site may not be reproduced, distributed, transmitted or otherwise used, except with the prior written permission of owner." "You are not permitted to copy, broadcast, download, store (in any medium), transmit, show or play in public, adapt or change in any way the content of these web pages for any other purpose whatsoever without the prior written permission of the site owner." You should begin by downloading WOWSlider, if you haven’t already. Go to wowslider.com and click on the ‘Download’ link in the top menu. You should enter your email address to access the software. After submitting your email you will be taken to a page where you can download WOWSlider. There is a version for Windows and a version for Mac, so simply click on the appropriate link for your computer. Then open WOWSlider, ready to create your first slideshow. There are many ways to add images and now we will choose the first one. Then click on settings — the icon in the top menu that looks like a spanner. Select any settings you want applied to your slider, e.g. ‘Pause on mouse-over’ or ‘random order’ by ticking the checkboxes. You should also click to the ‘Design’ tab in the top bar of the settings window. Select the size you want your slider to be. Select a template to use for your slider. There are lots of different templates to choose from, so you will be able to find one that matches the look and feel of your website. Adjust the ‘quality’ slider to something that works for you. A high quality slider will have extremely crisp and clear images, but may take longer to load. A lower quality slider will have slightly less crisp images, but will be faster to load. Apply a transition effect — the effect that is used to switch from one image in your slideshow to the next. Fade is a good default that works with almost every website, but there are also lots of other, more creative options to choose from. Adjust the delay between slides, which controls the amount of time each image is displayed for. A good choice is around 10 seconds, which gives plenty of time for people to look at the picture and read any descriptions or titles you have added. Click on the 'Publish' tab, choose the 'Publish to folder' or 'Publish to FTP server' method and select the correct folder for WOWSlider to create the html files and image folders. When you have chosen the right location, click on the ‘Publish’ button at the bottom of the window. WOWSlider will export your slider and, when completed, open your slider in a browser window for you to look at. On the webpage you will see the slider and the useful instructions below it. You can always read them when you publish your slider so you will never forget how to add it to your site. And now we are going to add the slider into our own webpage or site. Copy the data1 and engine1 folders from the WOWSlider folder into the same location as the HTML file where you are using the slider. This is an important step, as otherwise the slider will not be able to find the images and scripts needed to load. 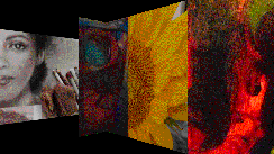 The data1 folder is where all the edited and correctly sized images are stored, and the engine1 folder is where the scripts are stored. Look at the step 2 in your wowslider-howto.html file. <!— End WOWSlider HEAD section —>. This is a code that is essential for the slider to work, as it contains links to the css file and jquery file. Open your web page in a HTML editing program such as Notepad, Notepad++, Dreamweaver, or whatever your preferred editor is. Paste that code into the head section of your HTML. <!— End WOWSlider BODY section —>. This is the main slider code. Open your HTML file again, and paste the code into the correct location for your slider. This code should be somewhere within the BODY section of your HTML! Open your webpage in a browser and make sure that the slider is working as you would expect. As of 4.2017 I will need to update/renew my domain name on an annual basis through register.com. Lycos, 'host' for my website, no longer handles domain name registration services. I was finally able to update the website today with no issues; made changes and need to still decide to go with another web service. SENT EMAILs (multiple) TO SUPPORT; regarding the domain name update/renewal; rec'd one email from them saying "no action required" and another one stating renew or website will end 4/19/2016. They bill me monthly and have since the '90's without any problems including the domain name renewals/updates. PLEASE RESPOND TO THE ATTACHED INQUIRY (3rd REQUEST) ... FOR THE RECORD, I LOGGED IN TO MY ACCOUNT via the LYCO's website to see if there was a problem. You have renewed my domain as indicated below and now I can no longer access my account or my website. IMMEDIATE RESPONSE IS BEING REQUEST...NOW. Thank you. In response to the attached, I have received two request confirming the "automatic renewal"; both stating "no action required". Please be aware that if your Domain Name is deleted, any other services that were associated with it may be affected. Please contact us as soon as possible to ensure there are no interruptions. Also found an article via BBB stating Lyco's was using their logo but not a member; and, they, BBB gave them an "F" rating based on complaints they had received. No response to emails; website accessible again (??WTF??? ); unsure about Lyco's. I was also able to access Lyco's web via my phone...their mobile app was accessible...weird. I'm not comfortable with any of this and need to seriously consider an alternative. Lyco's/Tripod billing information for automatic monthly payments, set up years ago, still being billed as of 3/2016. You can use a Donate button to collect donations by copying and pasting a few lines of HTML code onto your site. This document is for test purposes. Open the file to which you will add the Donate Button. For example, a file with the following text could be called test.html, and you would open the file in a text editor. On the Buttons for Donations page, click Create Your Button Now. On the Create PayPal Payment Button page, complete the steps as needed (steps 2-3 are optional), and click Create Button. Then select all of the displayed Donate button code, and copy it to your clipboard. Paste the Donate button code into your web page. For example, if you opened the test.html file (above) in a text editor, your new file would look similar to the following. You can view the functionality of the Donate button by opening the web page in a browser. For additional information see the Donate Buttons Chapter in the PayPal Payments Standard Integration Guide.